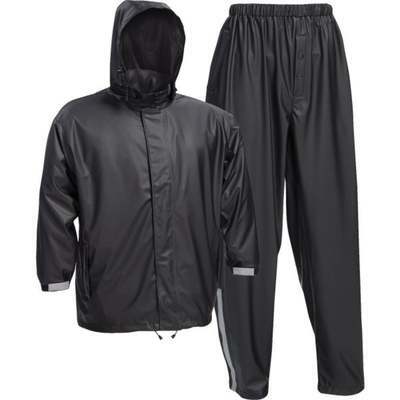 PU-coated polyester, 3-piece rain suit. Ideal for medium to heavy applications. Features waterproof seams, vented cape back, adjustable snap closures on wrists and ankles for a great fit and wide range of motion, easy zip-up front with button storm flap, and reflective piping providing visibility in low light conditions.